Find out what to plant in December with our seasonal list of flowers, fruit, vegetables and seeds. 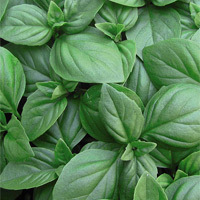 These can be ordered now for sowing, growing and harvesting over the coming months! Sow Antirrhinums (Snapdragons) and Laurentia in a cool greenhouse now for early flowering in the summer. Try sowing Begonias and Geraniums for a head start to the season. Cyclamen prefer cooler temperatures so sow them anytime between now and March for optimum growth. Herbs such as Basil, Dill, Chives and Parsley can be sown indoors on your windowsill for winter use. Sow winter hardy salad leaves under cover, such as lettuce 'Winter Gem' and 'Arctic King'. Sow exhibition onion seeds to give the bulbs time to grow as big as possible. 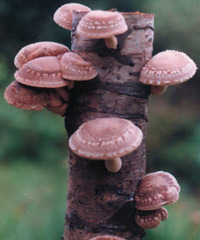 Try growing a mushroom log in your garden or alternatively grow some indoors using mushroom kits. Raspberry canes and Blackberries can be planted any time between now and the spring. Strawberry plants can be planted now for a crop of sweet berries in the summer. Plant gooseberries and currants now. Plant blueberry plants in acid soil.